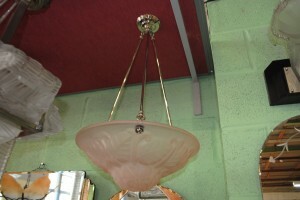 An original art deco french Degue plafonnier with nickel plated hanging rods and beautiful pink glass. 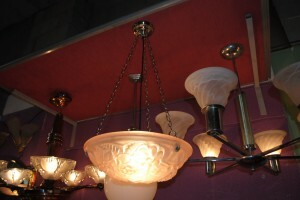 Complete with art deco ceiling rose, new bulb holder and silver coloured period cable. Complete and ready to hang. 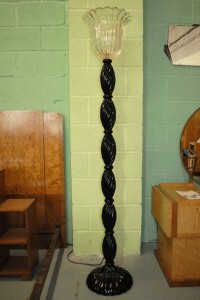 This is a stunning light. 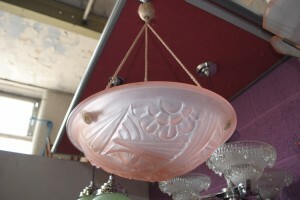 An original art deco french Degue plafonnier with beautiful pink glass. For more details please call 01257 473688. 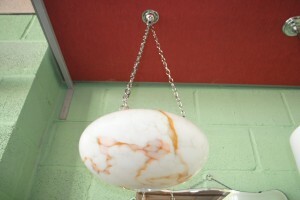 An original Art Deco Ceiling light with lovely veined glass shade and adjustable drop. For more details please call 01257 473688. 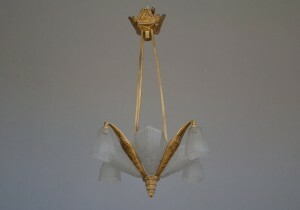 An original art deco French pressed glass ceiling light. For more details please call 01257 473688. 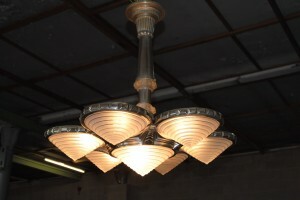 An original Charles Schneider art deco chandelier with each shade being signed ‘Schneider’.The Hand crafted iron work is wonderful with very nice detail.Beautiful glass shades and in excellent condition. For more details please call 01257 473688. 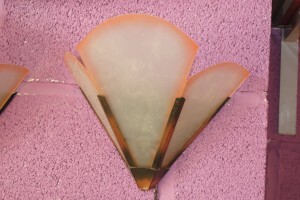 An original pair of art deco wall lights with a matching ceiling light (please click to view) available to match to make a lovely set. They are all in great original condition which is quite remarkable really. 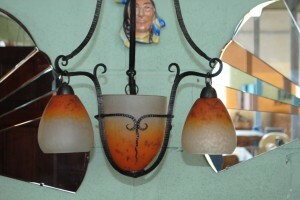 Wonderful burnt orange glass shades. 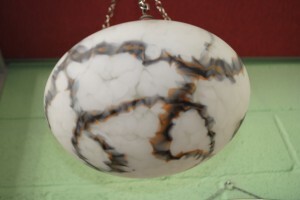 An original Art Deco Ceiling light, a pair of wall lights are also available (please click to view) to make a fabulous set . 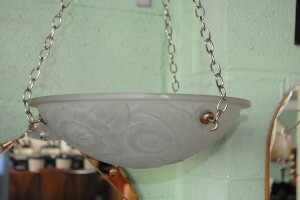 A very rare find indeed, 2 matching wall lights, 1 stunning ceiling light all 100% original. Quite remarkable when you look at the detail on the glass. 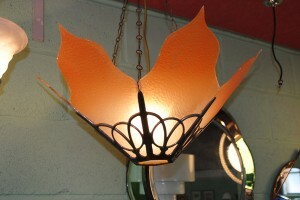 Bright burnt orange with brass metal work.